Looking for something to do in the Poconos? 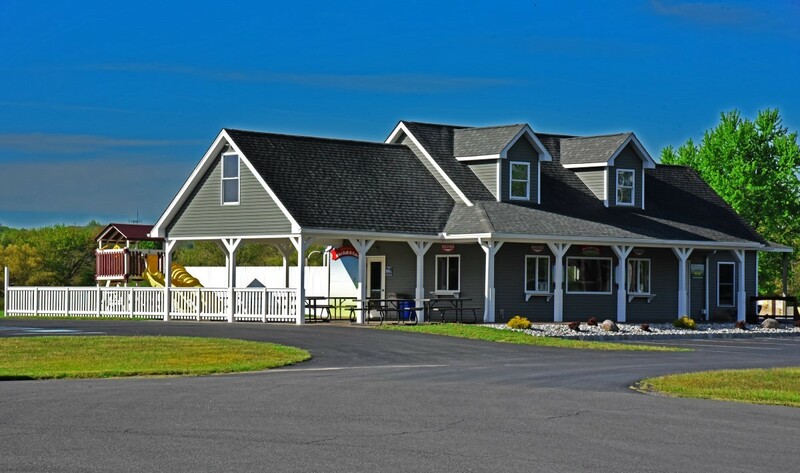 Snydersville Golf Range is a full practiced facility located in eastern Pennsylvania in Monroe County. Our range has 8 covered stalls and 8 uncovered stalls with several grass tees and putting and chipping green. We offer club rental, club regripping and golf lessons. If you are looking for family entertainment, We have 18 Hole Miniature Golf Course or “Putt Putt”. The first 9 holes are Handicapped Accessible. We feature Hershey’s Ice Cream at our Ice Cream Café. We have a children’s fenced in play set and outdoor eating under the pavilion.